Why are people abandoning their RDMS databases and switching to graph databases like Neo4j? It's more than a "big data" trend. 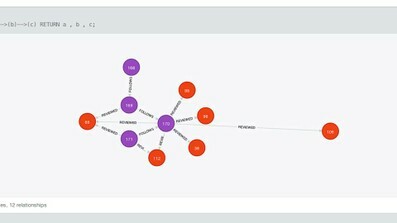 Graph databases can handle more complex data and relationships, which are baked in at the record level. Take a trip through the nuances of the most popular graph database, Neo4j, with Duane Nickull and find out if it's right for your data. He covers key concepts, like transitions, searches, and traversals, and shows you how to work with nodes, the relationships between nodes, and navigate large graphs of information. Developers will be interested in the chapters devoted to Cypher, the query language for finding, creating, modifying, and deleting Neo4J data. There are ten coding challenges sprinkled throughout the course, allowing you to test your Cypher skills, and the exercise files feature a fun, interactive mini "IMDB" that explores data from your favorite movies.